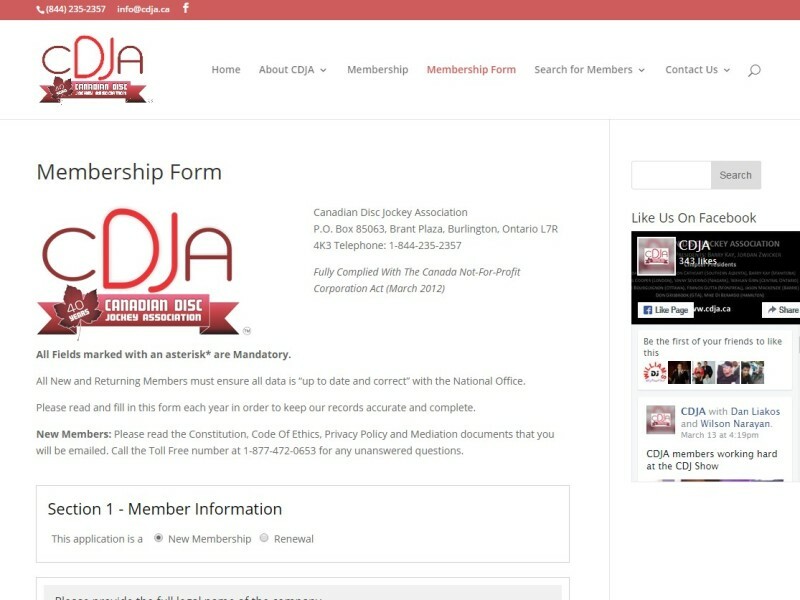 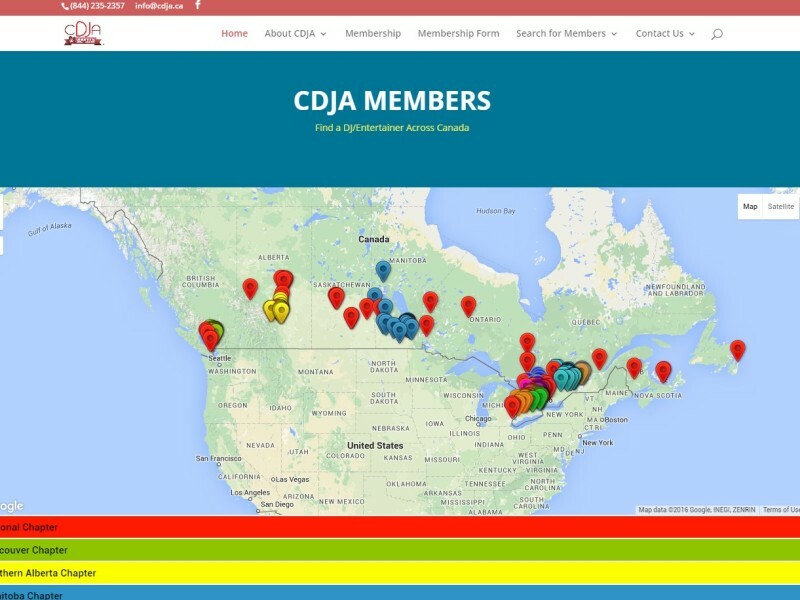 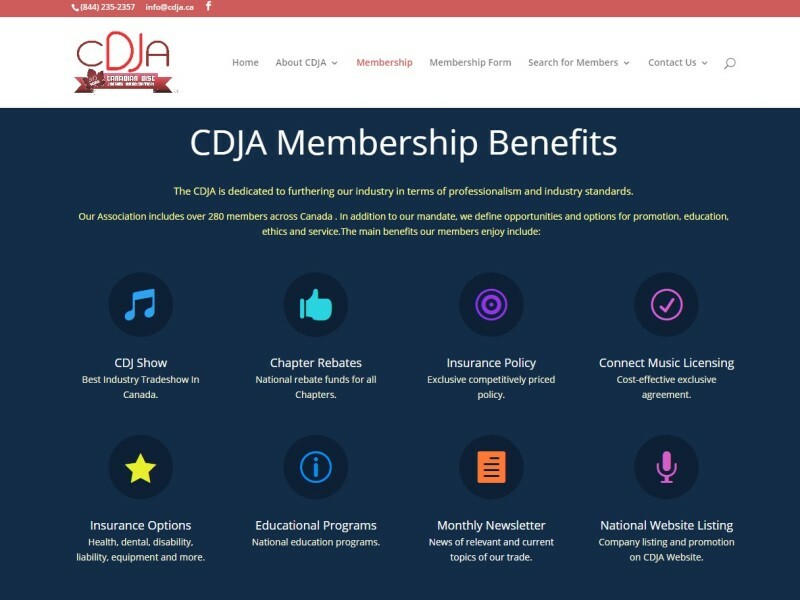 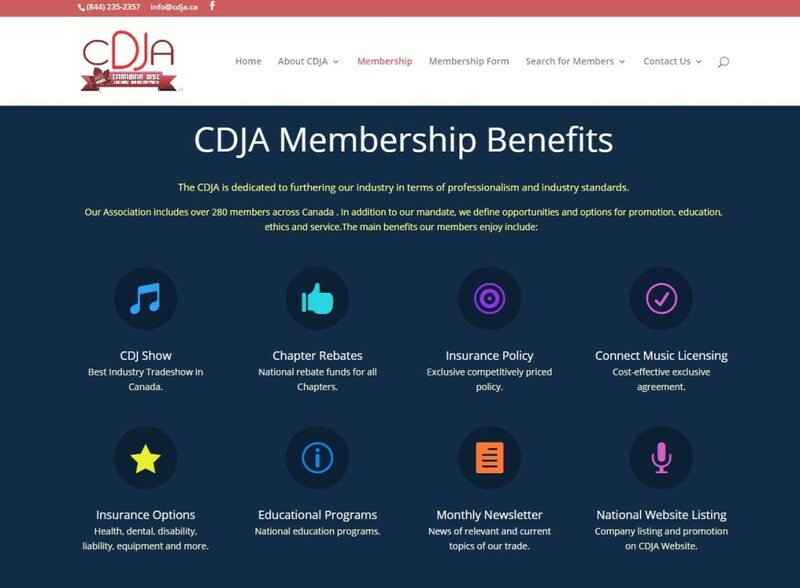 The CDJA has been setting the standards for the Canadian Disc Jockey Industry since 1976. 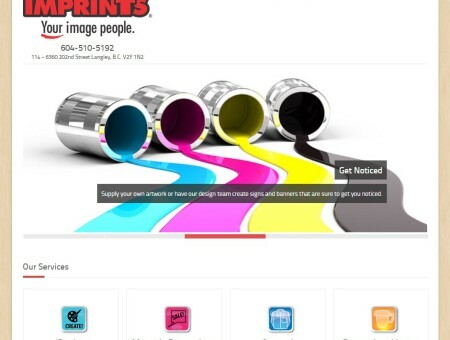 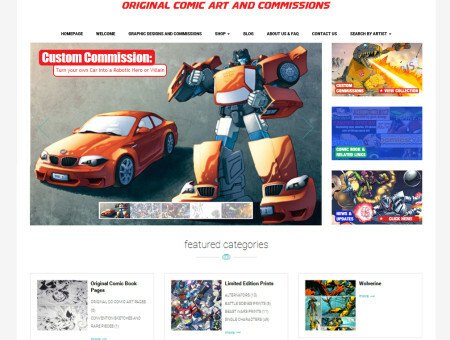 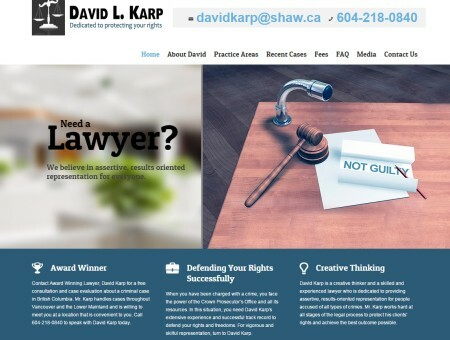 We created this website for a fresh new look. 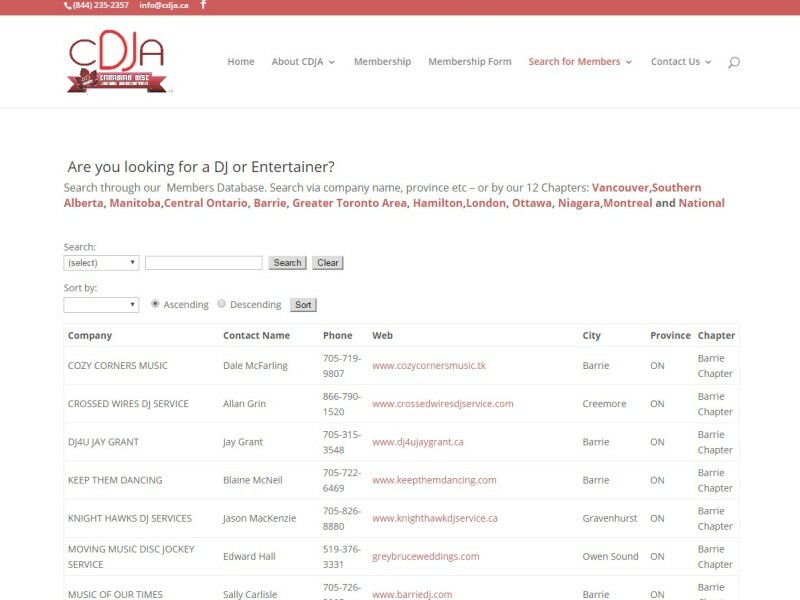 It has tons of information about them and all the companies they work with, along with a detailed map of every member they have. 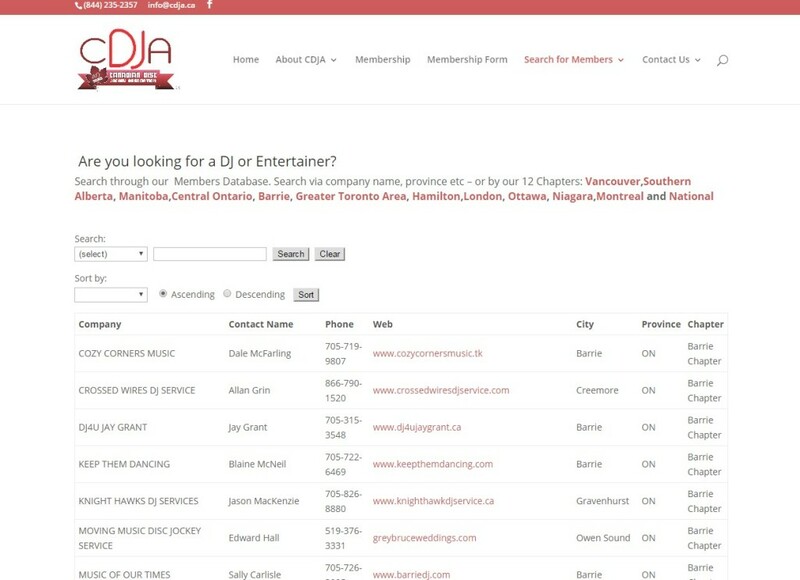 Also created is an extensive search list of all their members as well. 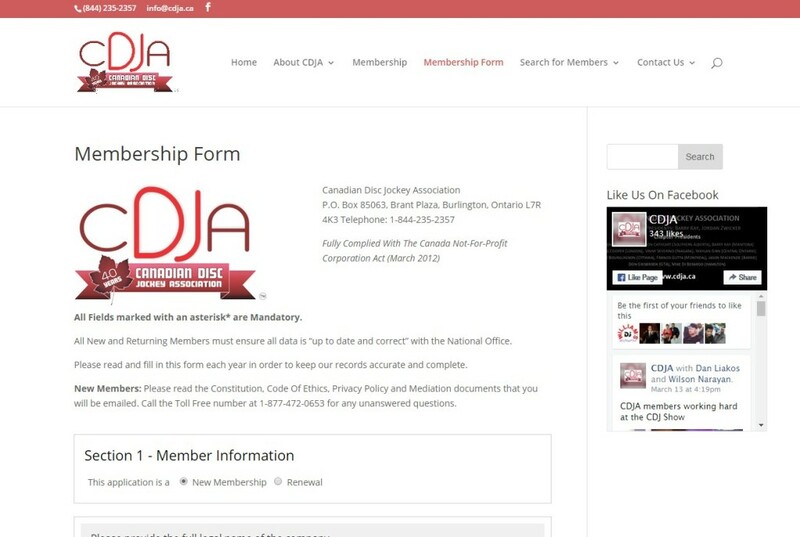 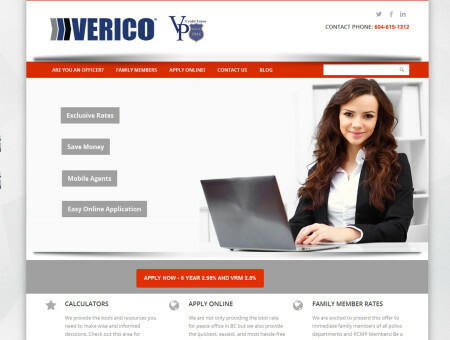 This site also has a detailed membership form integrated into it.